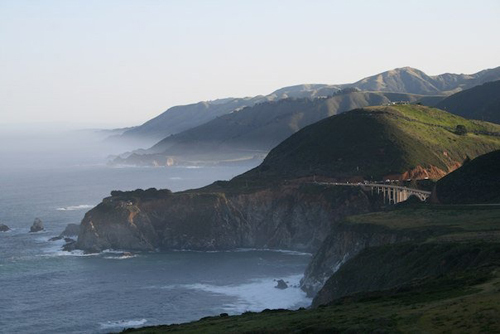 Big Sur Will Be My Victory Lap, But Not My Finish Line | Fit Girl. Happy Girl. Thank you! Don’t worry, you WILL graduate and I’m sure you’ll be running strong for a very long time! I love that quote so much that I had it tattooed on my foot after my first half marathon…. and it kept me going all the way thru my full! Enjoy your victory lap… you’ve earned it! I’ve thought about getting it as a tattoo as well! I think it’s such a great quote because honestly, if you can believe in something, you can make it happen. Thank you! Ahh you’re the freaking best. I can’t wait to hear all about it, you’re going to be a super star in CA! Thank you so much Ashley!! I am so excited for it I just want it to be Friday already! I think I felt all those same emotions in completing my first marathon in December. Even though it is past, I also consider myself a new runner. I know I don’t have all the answers and I’m still learning, especially compared to so many that have run for a long time. Good luck this weekend! And have FUN! I’m glad you could relate! I thought I was the only one to feel sad about an upcoming marathon. Thank you too for the well wishes!! Good luck! Just finishing a marathon and being able to say “yeah I did it!” Is an amazing feeling. Makes the training and dedication worth it. I agree with you 100 percent! I can’t wait for it! Have a fantastic run. Can’t wait to hear all about it! Good luck to you at your marathon! And thank you!